Reactive Rover Dog Training Class - The Crate Escape, Inc.
Have you stopped taking your dog for walks or out in public because of what happens when they see another dog or person? Does he or she become unmanageable: barking, growling, lunging and frantic to the point where you want to run away in embarrassment? If this sounds like something you’ve experienced, we are here to help! The Reactive Rover class is specifically designed to help you and your dog work as a team to stop these unwanted behaviors once and for all! We promise it CAN be done! As you begin to explore when, why and how your dog goes from lovable to lunging, Bill will provide you with the tools to help your dog remain calm, focused and appropriate. 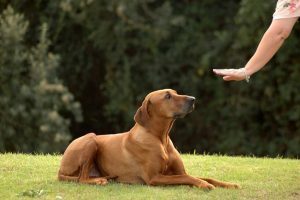 With practice and patience your dog will learn to be more self-controlled, less stressed and less reactive in public as they will have mastered how to exhibit more desirable behaviors during these high stress times. Space for this class is limited. Please do not bring your dog to the first session of this class.